Spend the 2nd (Fri) exploring nature at Jozani Chwaka Bay National Park. The adventure continues: enjoy the sand and surf at Paje Beach, head outdoors with Jambiani KiteWorldWide Centre Zanzibar, and see some colorful creatures with a scuba or snorkeling tour. To find more things to do, ratings, where to stay, and other tourist information, go to the Paje trip itinerary maker. New Orleans, USA to Paje is an approximately 31-hour flight. Traveling from New Orleans to Paje, you'll lose 9 hours due to the time zone difference. May in Paje sees daily highs of 85°F and lows of 74°F at night. Wrap up your sightseeing by early afternoon on the 3rd (Sat) to allow time for travel to Moshi. 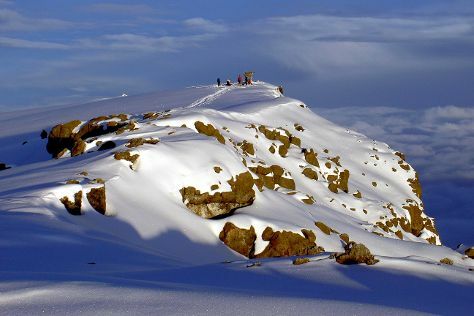 Step out of Moshi to go to Kilimanjaro National Park and see Mount Kilimanjaro, which is approximately 1h 20 min away. There's still lots to do: take in the natural beauty of Kikuletwa Hotsprings, get a dose of the wild on a nature and wildlife tour, add some adventure to your tour with a kayaking and canoeing tour, and look for gifts at Women's Arts and Crafts Co-operative. For maps, ratings, and tourist information, refer to the Moshi itinerary planner. Traveling by combination of taxi and flight from Paje to Moshi takes 2.5 hours. Alternatively, you can take a bus. Prepare for a bit cooler weather when traveling from Paje in June: high temperatures in Moshi hover around 66°F and lows are around 66°F. Wrap up your sightseeing on the 7th (Wed) early enough to travel to Ngorongoro Conservation Area. Kick off your visit on the 7th (Wed): take in the dramatic natural features at Olduvai Gorge. 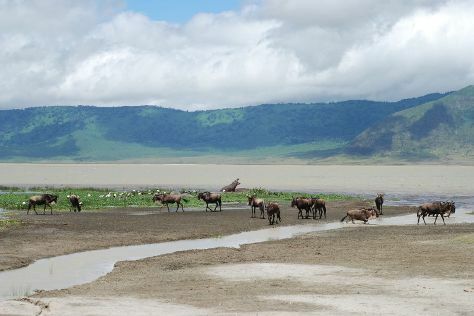 Here are some ideas for day two: take in the dramatic natural features at Ngorongoro Crater. To see ratings, traveler tips, maps, and more tourist information, use the Ngorongoro Conservation Area trip planner. Traveling by combination of flight and taxi from Moshi to Ngorongoro Conservation Area takes 5 hours. Alternatively, you can drive. Expect little chillier evenings in Ngorongoro Conservation Area when traveling from Moshi in June, with lows around 58°F. You'll have a few hours on the 9th (Fri) to wrap things up before traveling to Nungwi. 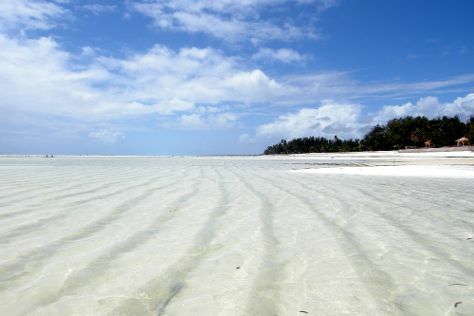 You'll enjoy a bit of beach vacationing at Nungwi Beach and Kendwa Beach. Venture out of the city with trips to Kiwengwa Caves (in Kiwengwa), Cannibal Party (in Pwani Mchangani) and Uroa Bay (in Uroa). The adventure continues: kick back and relax at Matemwe Beach, see some colorful creatures with a scuba or snorkeling tour, and cast your line with a fishing tour. For maps, where to stay, photos, and other tourist information, read Nungwi trip itinerary builder. Getting from Ngorongoro Conservation Area to Nungwi by combination of taxi and flight takes about 6 hours. Traveling from Ngorongoro Conservation Area in June, things will get a bit warmer in Nungwi: highs are around 85°F and lows about 74°F. 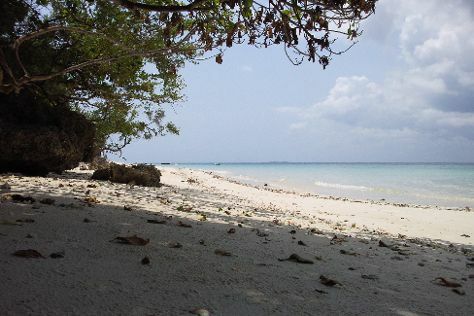 Finish up your sightseeing early on the 14th (Wed) so you can travel to Pemba Island. Relax by the water at Misali island and Vumawimbi Beach. To find other places to visit, reviews, where to stay, and tourist information, use the Pemba Island trip planner. You can do a combination of taxi and flight from Nungwi to Pemba Island in 2.5 hours. Expect a bit cooler weather when traveling from Nungwi in June: highs in Pemba Island hover around 78°F, while lows dip to 78°F. Cap off your sightseeing on the 16th (Fri) early enough to travel to Zanzibar City. Visit Hamamni Persian Baths and Mtoni Palace Ruins for their historical value. House of Wonders (Beit-el-Ajaib) and The Old Fort (Ngome Kongwe) are good opportunities to explore the local culture. 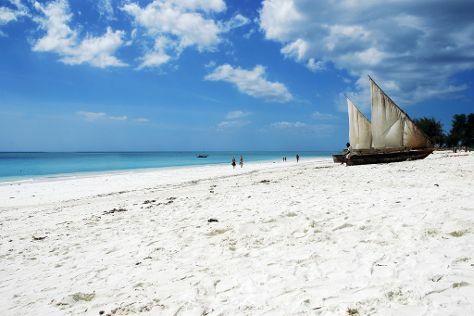 Step out of Zanzibar City with an excursion to Nakupenda Beach in Stone Town--about 44 minutes away. The adventure continues: step off the mainland to explore Prison Island - Changuu Private Island, look for gifts at Mwanzo Mpya, take in nature's colorful creations at Forodhani Park, and get outside with Mnemba Atoll. To see ratings, photos, and other tourist information, read Zanzibar City custom trip planner. Do a combination of taxi and flight from Pemba Island to Zanzibar City in 1.5 hours. Traveling from Pemba Island in June, expect nights in Zanzibar City to be about the same, around 74°F, while days are somewhat warmer, around 85°F. Wrap up your sightseeing on the 19th (Mon) to allow time to travel back home.